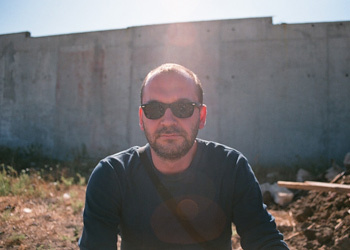 Polish artist Artur Żmijewski has been named curator of the 7th Berlin Biennale for Contemporary Art, which will take place in early 2012. Established in 1998, the Berlin Biennale took place for the first time in 1998 under the patronage of the German Federal Cultural Foundation. Over 80,000 visitors took part in the event established on the initiative of Eberhard Mayntz and Klaus Biesenbach, the founding director of the Kunst-Werke Berlin. In 2008, Adam Szymczyk, the former curator of Foksal Gallery in Warsaw, was the first Pole to play a major role in the event, co-directing with Elena Filipovic the 5th edition of the German contemporary art forum. It’s not the first time that the Berlin selection committee select an artist for a curatorial position. Though supported by professional curators, in 2008 Italian artist and enfant terrible Maurizio Cattelan covered the job for the 5th edition of the German showcase. Born in 1966 in Warsaw, visual artist Artur Żmijewski trained as sculptor at the Accademy of Fine Arts in the renowned studio of Grzegorz Kowalski before successfully exploring photography and video art since the middle of the last decade. In 2006, Żmijewski represented Poland at the 51st Art Biennale in Venice and was honoured last July with the prestigious Ordway Prize (100,000 USD in cash), considered the American equivalent to Britain’s Turner Prize.